Today is the day that my house combines the styles and feelings to create the ultimate eclectic woosh. White with accents of color, that’s what it’s all about. High gloss white, matt white, furry white, broken white: just white. 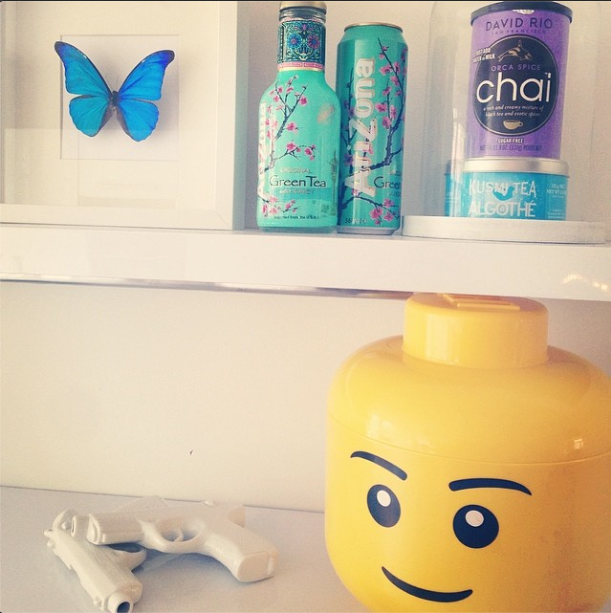 Including a Lego Head as coffee jar, most beautifully produced cannery: Ice Tea Arizona, Chai tee under glass, guns and a butterfly. What else? To continu whiteness the bathroom is made out of modern tiles and sink that’s found coming out of the wall. 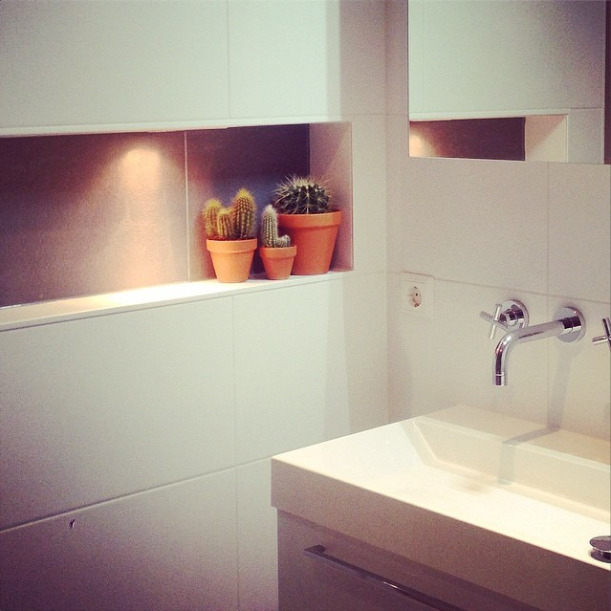 Together with the cactuses (which are easily maintained) the Bathroom is finished with elegance, cozy’ness yet also clean-ness. Prints and styles and patterns in the colors that aztec and maya indians used to wear. 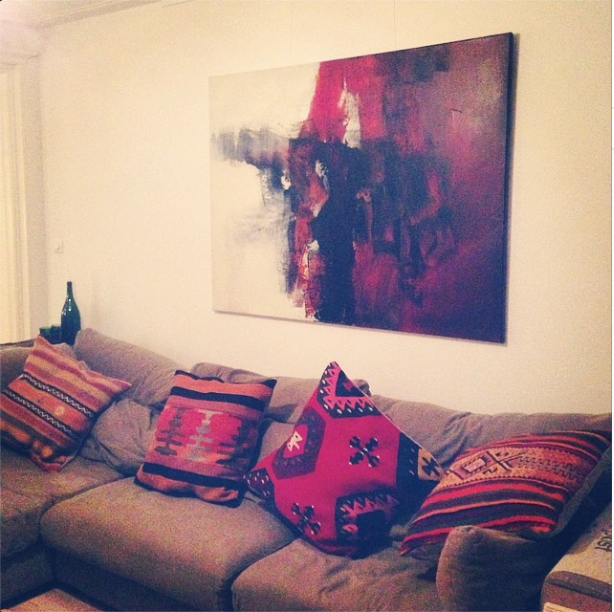 These pillows, bought in Istanbul, connect the sofa together with the painting on the wall, due to the hues and colors found in both. The couch gets accents to an otherwise plain brown tint and gets a cozy feel. 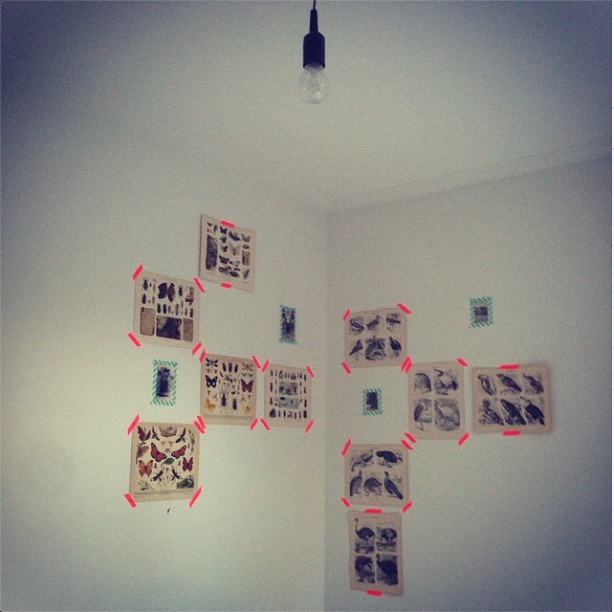 Using the scandinavian style as inspiration and old animal anatomy prints. Taped to the wall in a semi nonchalant way with colorful tape using it also to make a frame. The lamp hanging forms an industrial look/feel. Combining art from for instance my favorite: Seletti to make your house complete is always a unique twist to the standard objects. 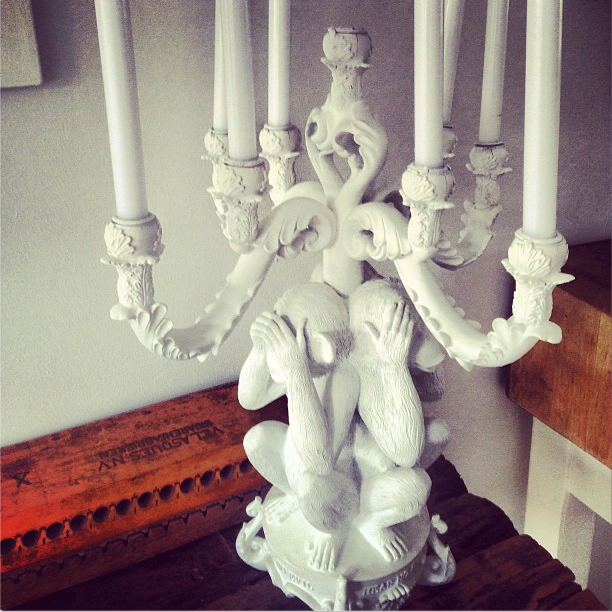 In this case exchange that ordinary candle stick holder with this Giant Burlesque Seletti.